Hail Chaos! 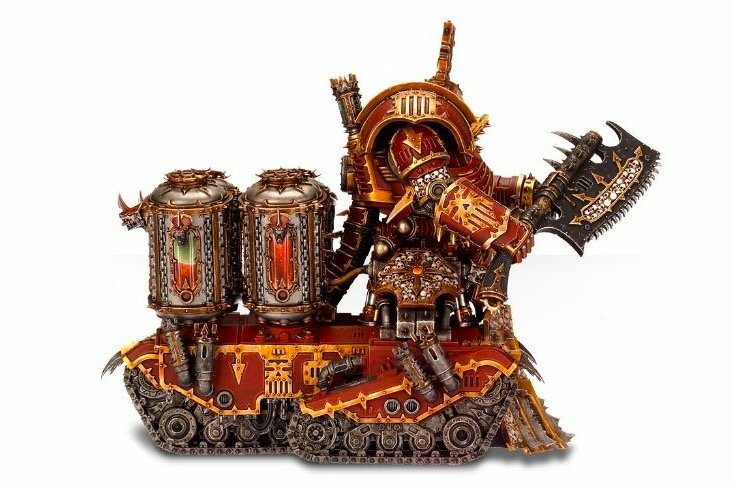 Check out what you can do with the Obliterators and the Lord of Skulls now! Everyone knows Obliterators and Lord of Skulls are loyal followers of the Chaos Space Marines. 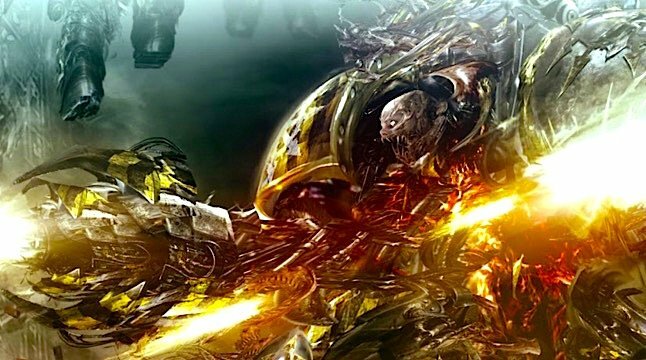 Folks have been putting them in CSM lists for a while – but with the arrival of Codex Chaos Daemons – something very unusual came up about the two units. 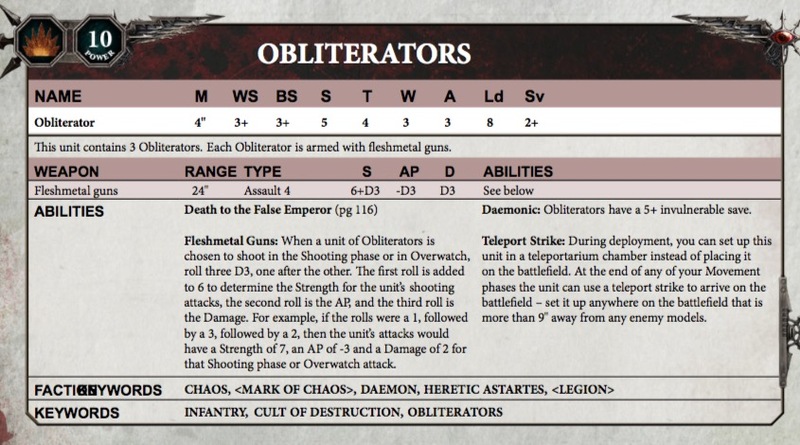 Alone in the entire CSM codex, Obliterators and the Lord of Skulls have “DAEMON: as a Faction Keyword. Other similar units such as the Helldrake, Maulerfiend and Warp Talons have “DAEMON” in the lower Keywords line. I’m uncertain exactly why GW decided to make only these two units have “DAEMON” as a Faction Keyword but they did. 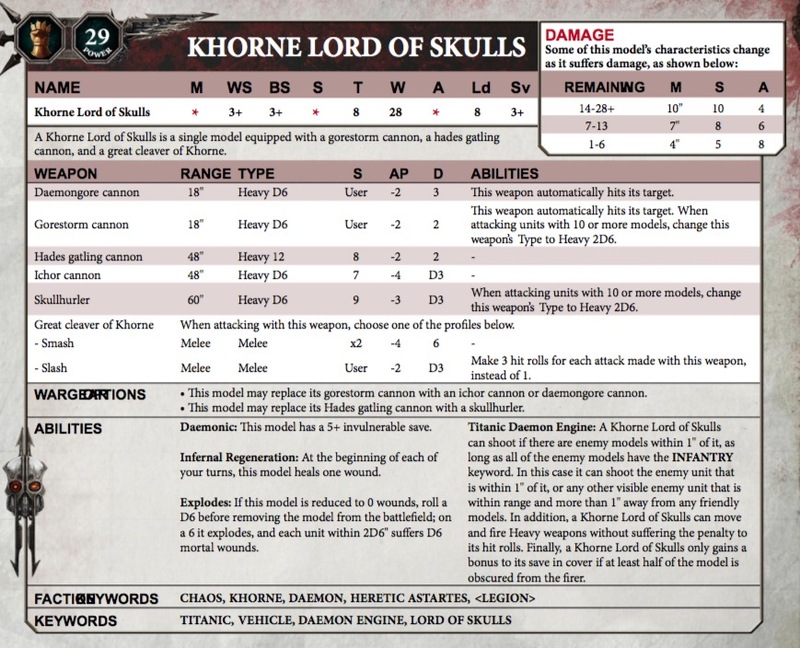 Which means these two are units you can freely use in Codex Chaos Daemons armies. You won’t have to use them in a separate detachment, and with the “DAEMON” Faction Keyword they are compatible with the Daemonic Loci special rules. Handy! So these guys can work for the CSMs by day and the Chaos Daemons by night.